With just a few weeks to go until the RHS Chelsea Flower Show, 2016 is turning out to be the year of the garden – thus, it’s time to consider the perfect garden getaway. We’ve pulled together our top three suggestions for a brilliant break – each complete with a private garden, of course! Boasting designer gardens by Philip Nixon, a three time Chelsea Flower Show Gold Medal winner and contemporary interior style, Berkeley House in Tetbury is the perfect spot for a luxurious summer getaway. The property sleeps up to 20 people and a hot tub, private chef and spa treatments can all be arranged. 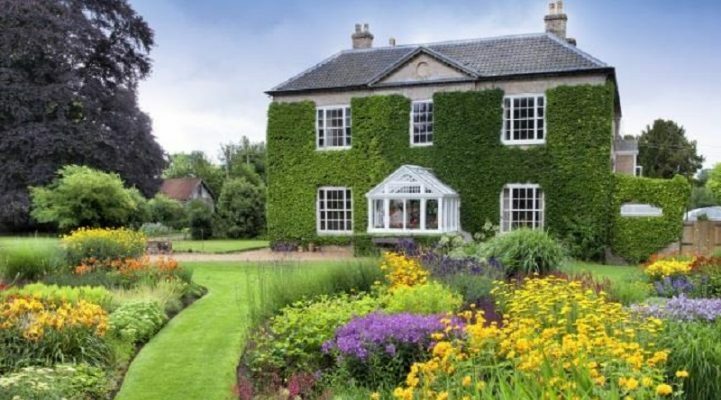 Bressingham Hall in Norfolk is a must-book for the eager gardeners amongst you, as it is set in 12 acres of the world-famous Bressingham Gardens. Guests can explore the grounds and picturesque gardens when the gates have closed for others. The Georgian manor sleeps up to 18 people. With private access to Lake Windermere and expansive gardens Silverholme in Ulverston is a great option for groups after a relaxing break in the Lake District. The property sleeps up to 18 people and private catering; canoeing and wine tasting on the estate can all be arranged. For more information on other big properties available for hire, visit The Big Domain or call 01237 426777.